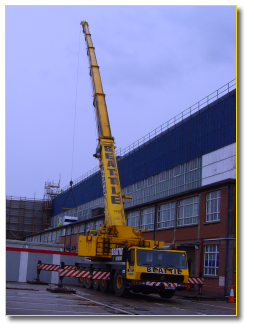 Hiring a crane and driver can be a complex and time consuming procedure for the first time hirer. 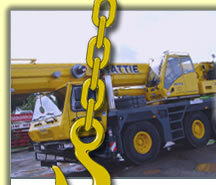 At Beattie Crane Hire we can make the process a lot easier by providing a Contract Lift service. Our trained and experienced staff will visit the site and assess the object or objects that need to be lifted. A full audit and risk assessment of the job is then made in compliance with the BS7121 Safe Use of Cranes Part 1 General 1989 and the Lifting Operations and Lifting Equipment regulators. 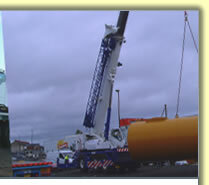 Our staff will choose the correct crane for the job and make all the arrangements for the lift. In a contract lift job, the crane company is responsible for liability of the entire job. At Beattie’s we take away the risk and concern away from our customers letting you get on with the rest of the project. Our trained and experienced personnel will arrive on site at the appointed time and manage the whole lifting process right through to the final lift.